MainAll NewsJewish WorldWho did the Rebbe give an open check to? Who did the Rebbe give an open check to? Lubavitcher Rebbe donated open check to fulfill one man's vision of a revolutionary medical facility in Bnei Brak. Dr. Moshe Rothschild, a Jewish physician who immigrated from Switzerland to Israel and settled in Bnei Brak, was called "the doctor of Bnei Brak". Despite having a large family with 17 children, he managed to see and treat alone dozens of children and adults every day, including Shabbat and holidays. When he had to go to a patient's house, he would not hesitate and would walk from one end of the city to the other, with his children holding a bag with tools and medicines when he avoided violating Shabbat unnecessarily. He then decided to set up a medical center that would serve the city's residents in Bnei Brak. He purchased land that was intended for an urban pool, even though his friends and acquaintances warned him that he had put his money on the line and the city engineer sent him an explicit warning letter ... He did not deviate from his course and gradually raised the funds for the establishment of the medical center which was then called by every hospital in the area. During one of his travels, he came to the Lubavitcher Rebbe for a meeting at his New York school and told him about his vision. 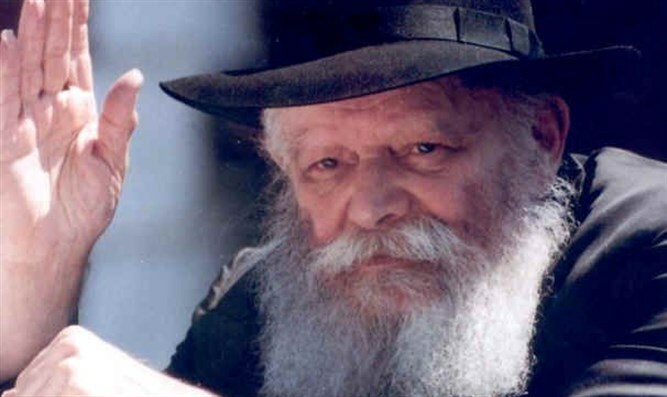 The Rebbe placed an open signed check in his hand and told him to write down whatever amount he decided. Dr. Rothschild wrote a thousand dollars, and the Rebbe asked them to call it a medical center, and the doctor promised to do so. Today, there is a whole campus called Kiryat Ma'ayanei HaYeshua, where two large medical institutions, one for the body and the other for the soul, operate. Today, there is a whole campus called Kiryat Ma'ayanei HaYeshua, where two large medical institutions, one for the body and the other for the mind, operate. A sign which reads 'Beit Rofeh' (medical center) can be seen at the facility. Dr. Rothschild explained that medical facilities are supposed to treat and make the patients healthy, and therefore he called his project a medical center. This move proved to be a trend-setter and today many medical institutions in Israel and abroad have changed the perception that they are medical centers and not hospitals.